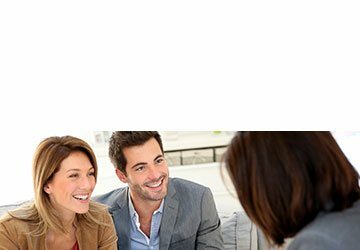 Contact the office to find out more about any of our service plans, or click on Service Contracts to request our services online. 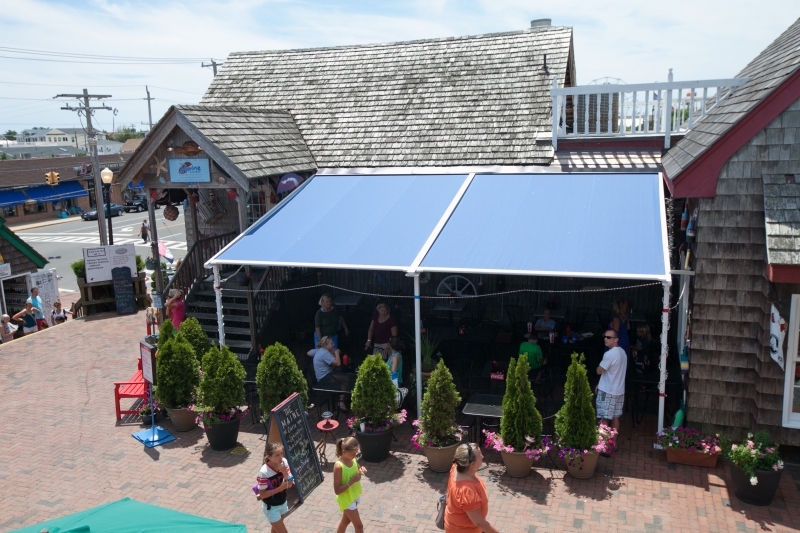 When you need shade, turn to the experts at Giglio Awning. 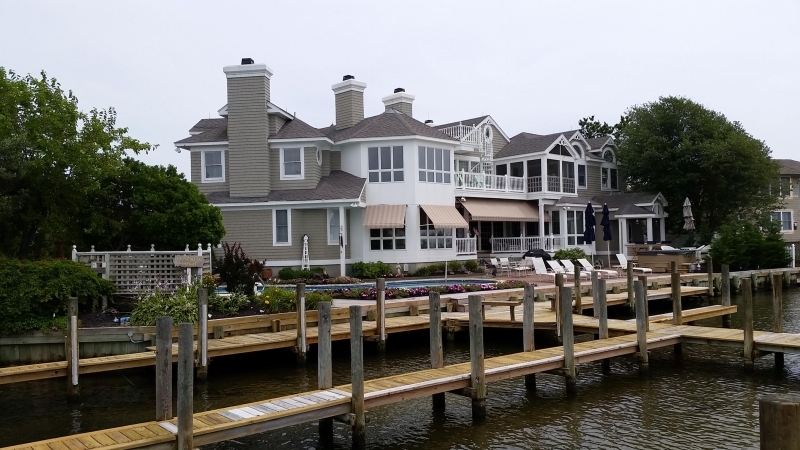 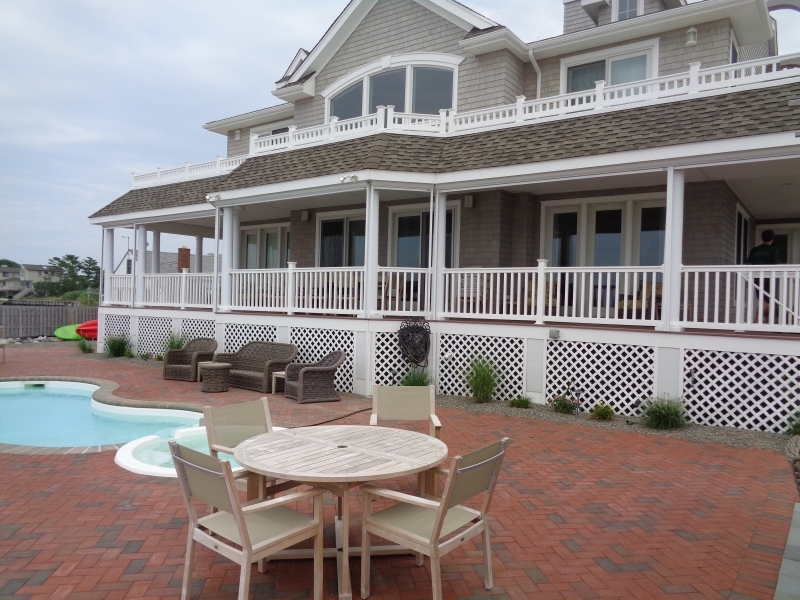 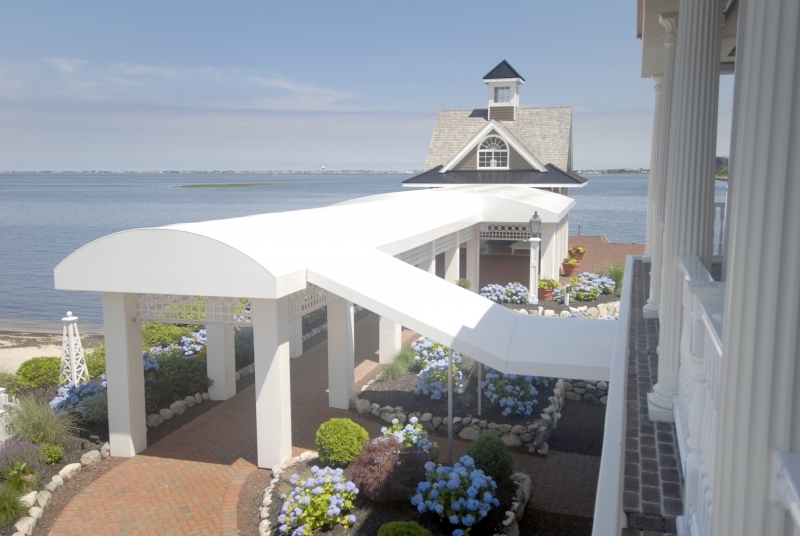 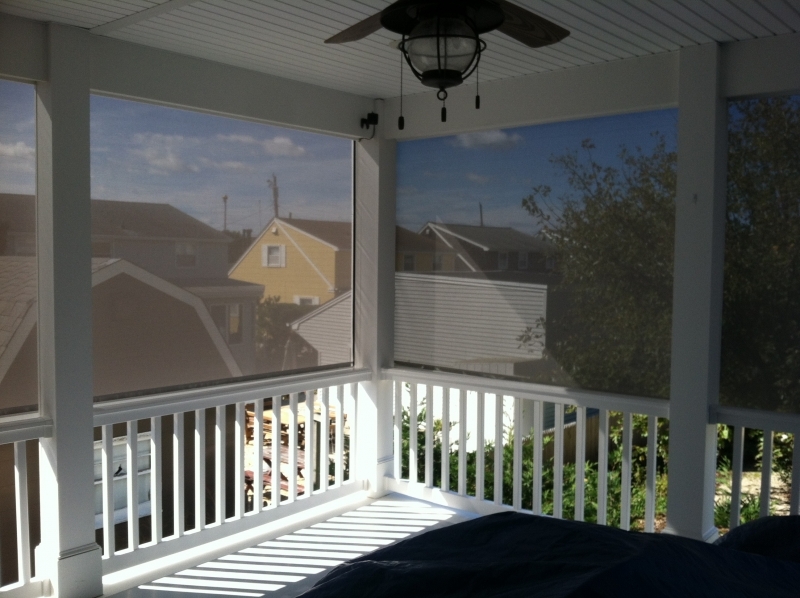 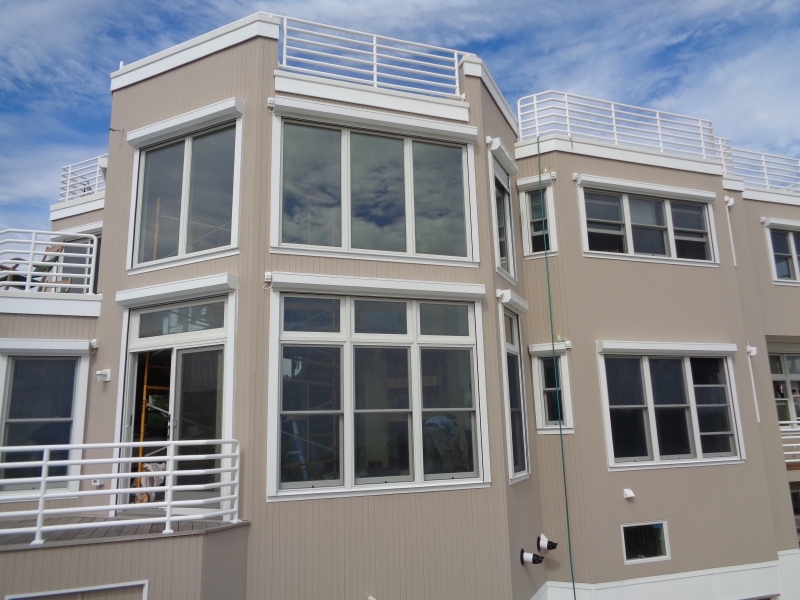 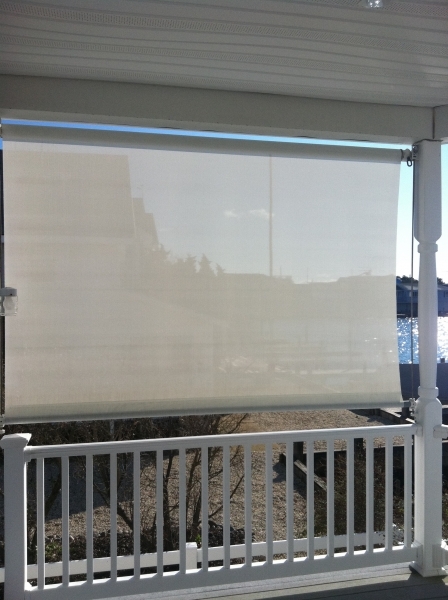 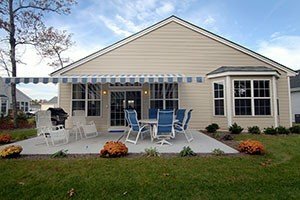 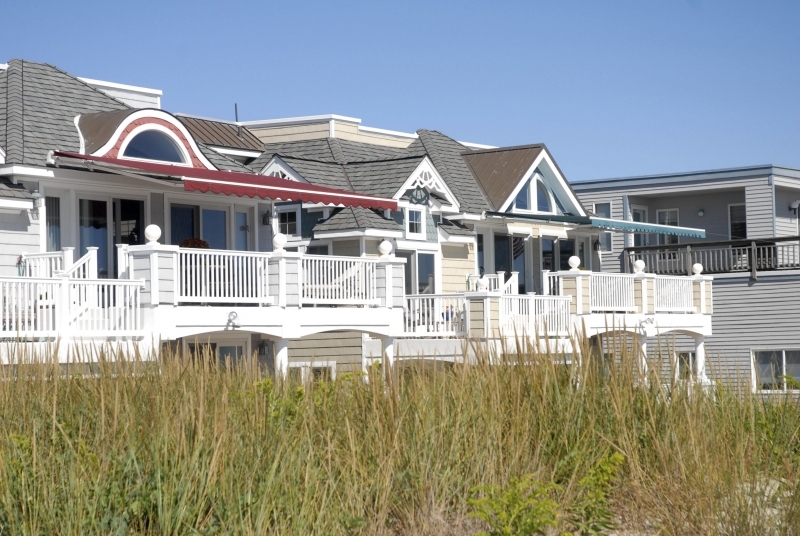 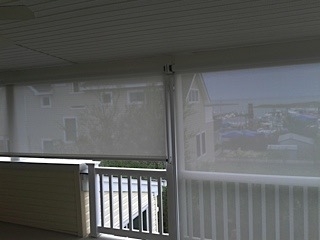 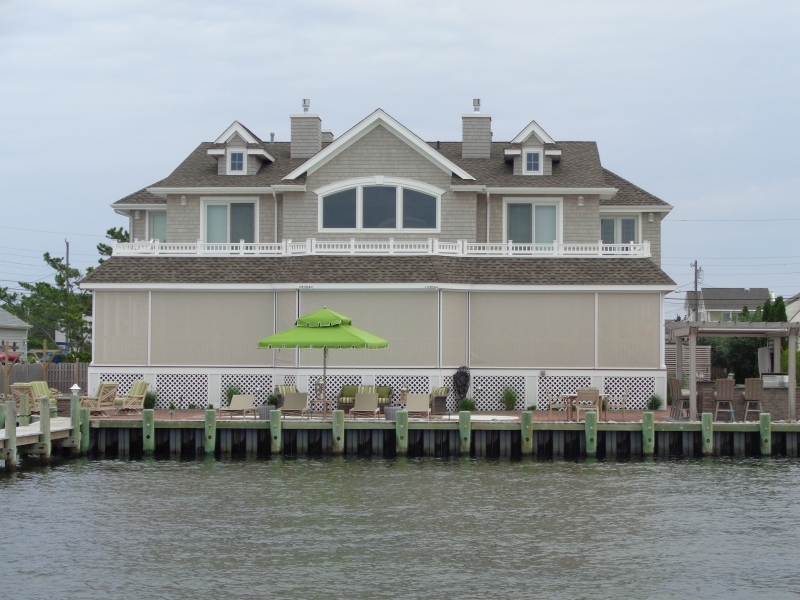 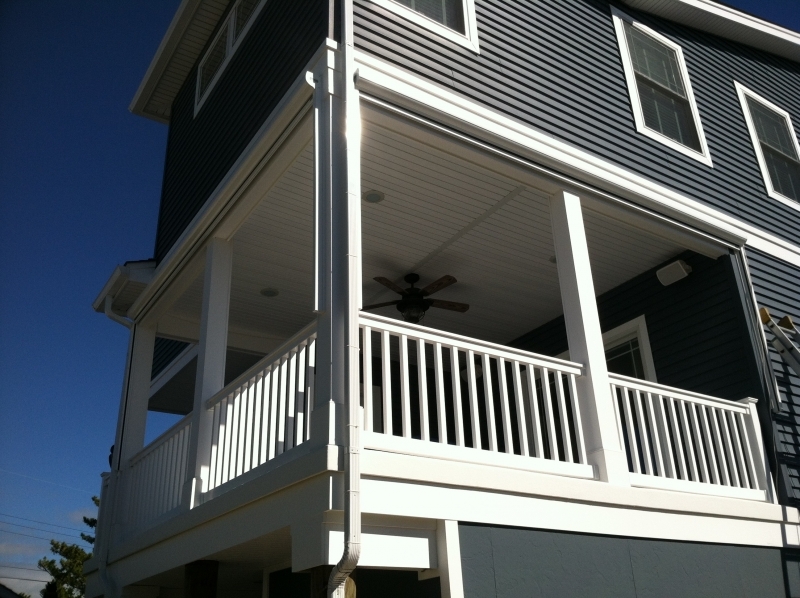 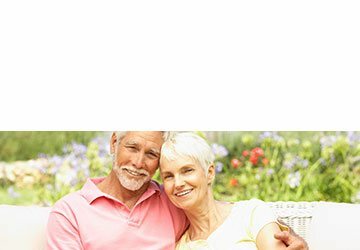 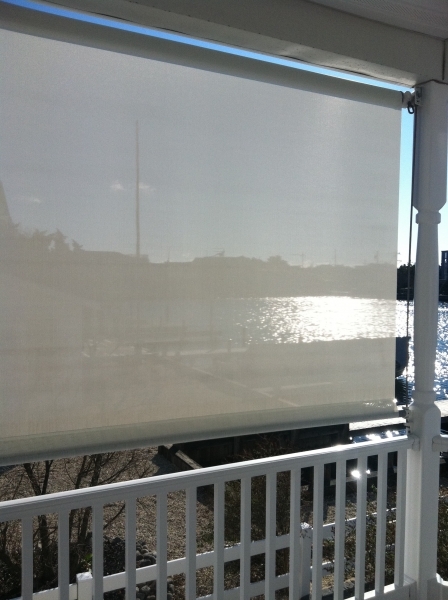 Serving residents of Long Beach Island, New Jersey, and many of its surrounding communities since 1976, we specialize in the design and installation of both residential and commercial shading solutions. 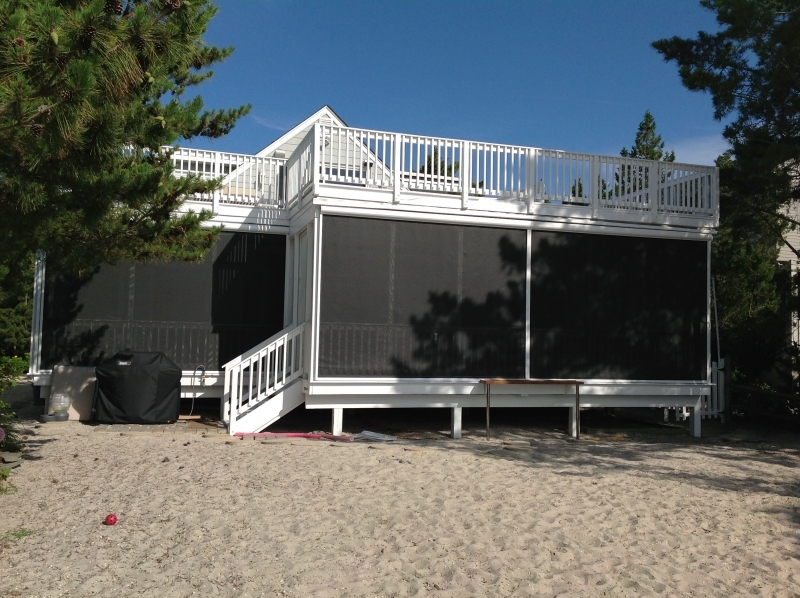 We offer a variety of retractable products, including awnings, screens, walls, and pergola covers. 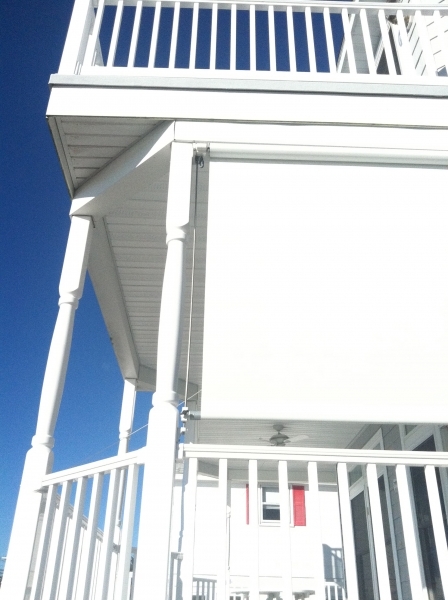 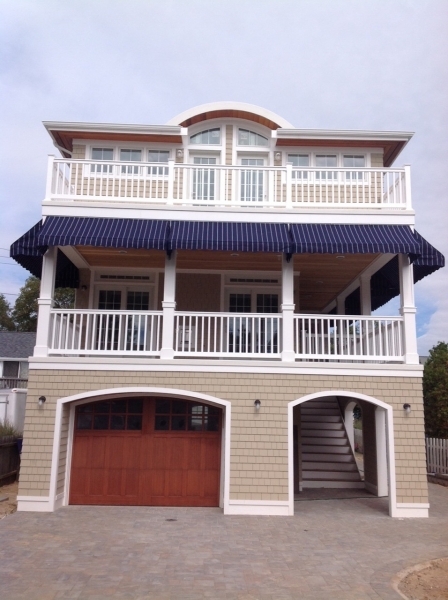 We also offer completely customized awnings. 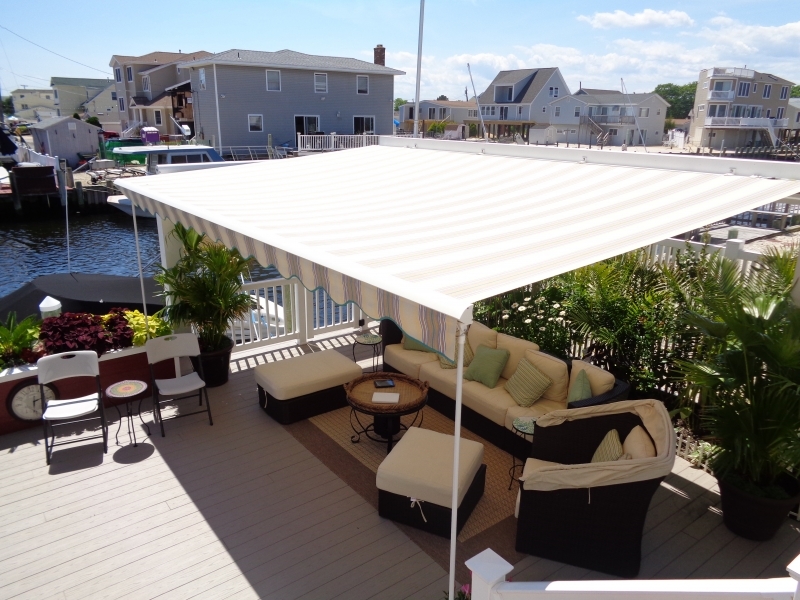 Giglio Awning is here to help you turn your outdoor space into the paradise you’ve always dreamed it could become. 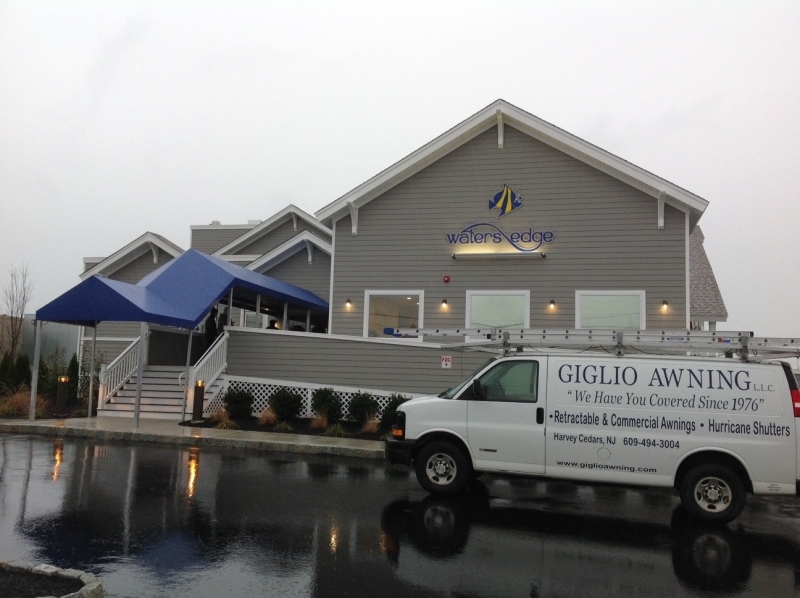 As part of our commitment to customer satisfaction, Giglio Awning provides its customers with products they can rely on. 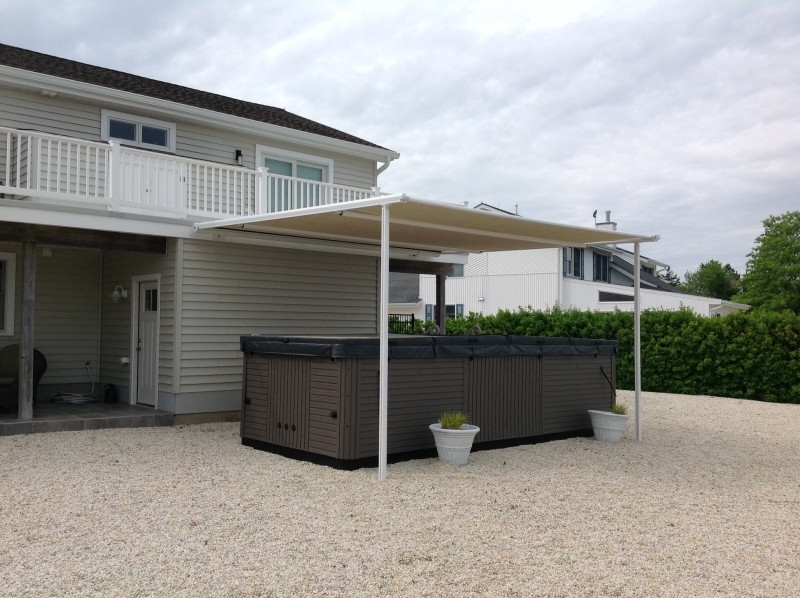 That’s why we source our retractable awnings and other retractable shading products from Sunesta – a leading manufacturer in the awning industry. 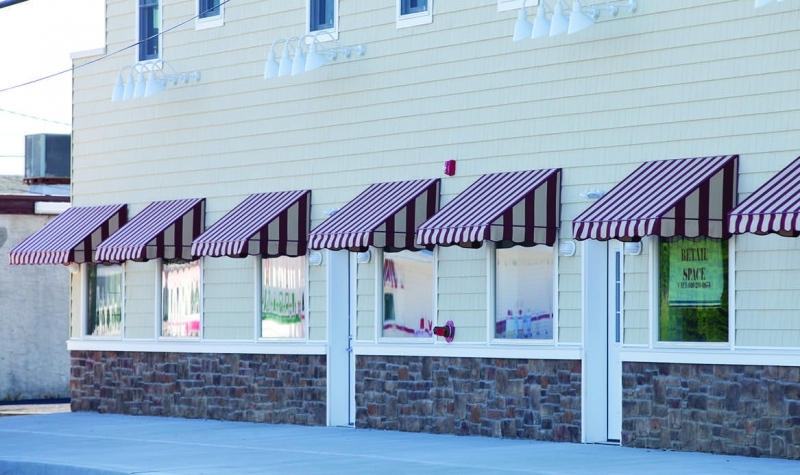 In fact, we’ve been an authorized dealer for Sunesta since they opened in 1981. 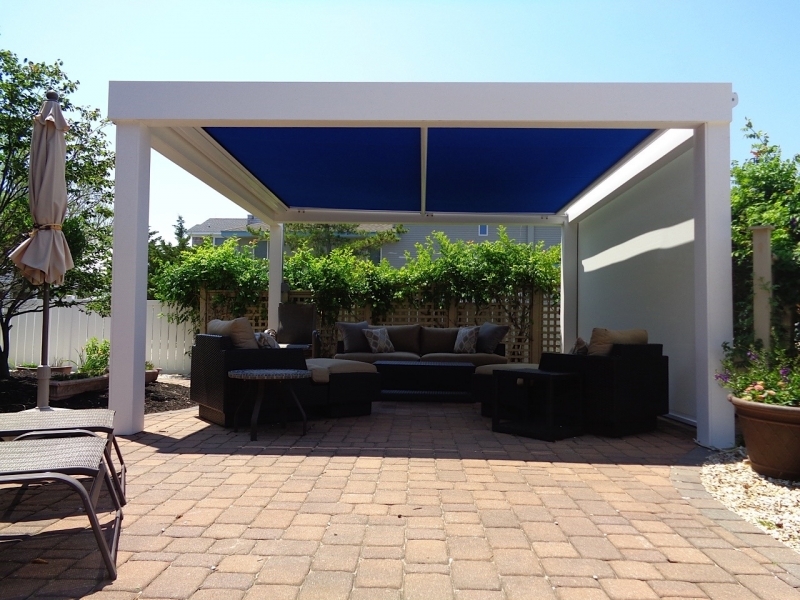 Sunesta has many different styles of shading solutions to choose from, including retractable deck and patio awnings, window and door awnings, retractable screens, freestanding canopy structures, and even covers for existing structures like pergolas and sunrooms. 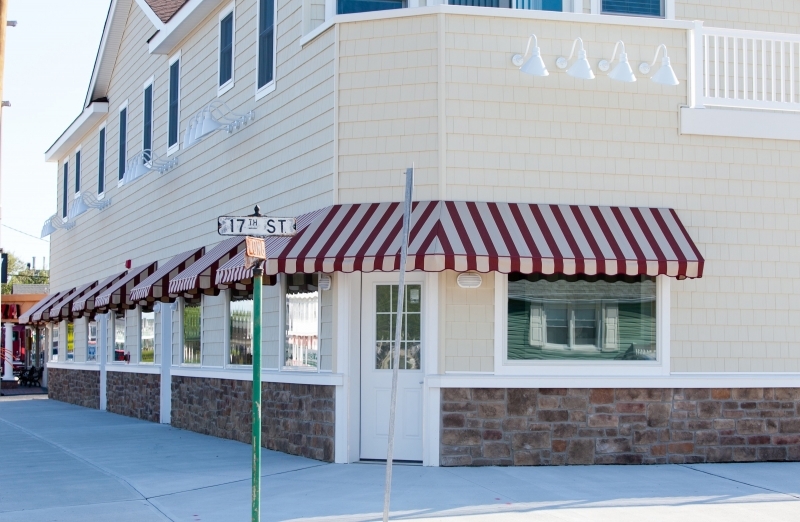 In addition to offering a wide variety of different shading solutions, Giglio Awning offers awning maintenance and repair services, recovers for existing awnings, and cleaning and fabric repair. 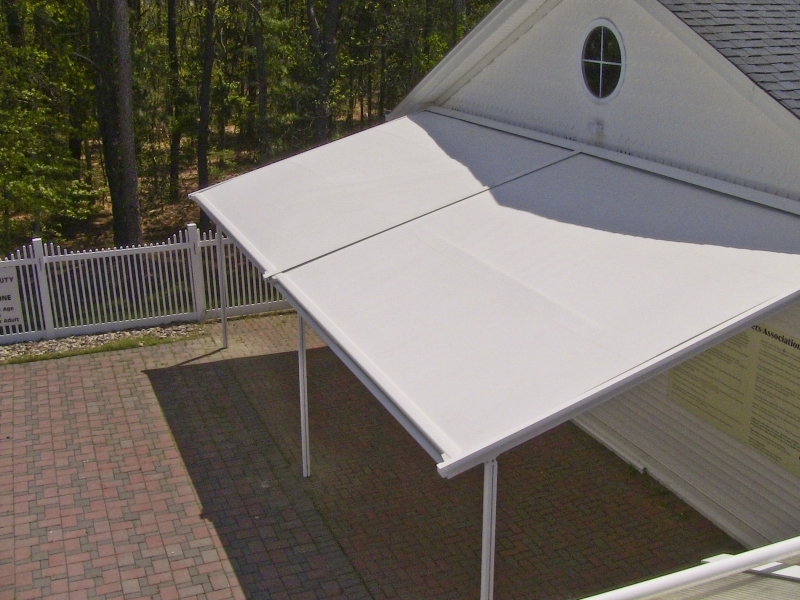 We offer seasonal awning packages, which include fall takedown, storage of awnings through the winter, and rehang in the spring. 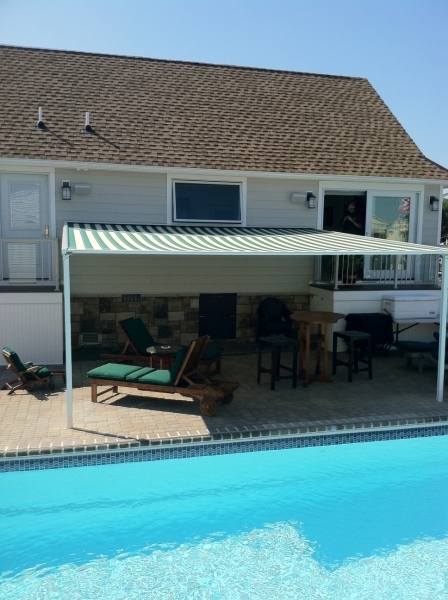 We also provide seasonal covers for retractable awnings. 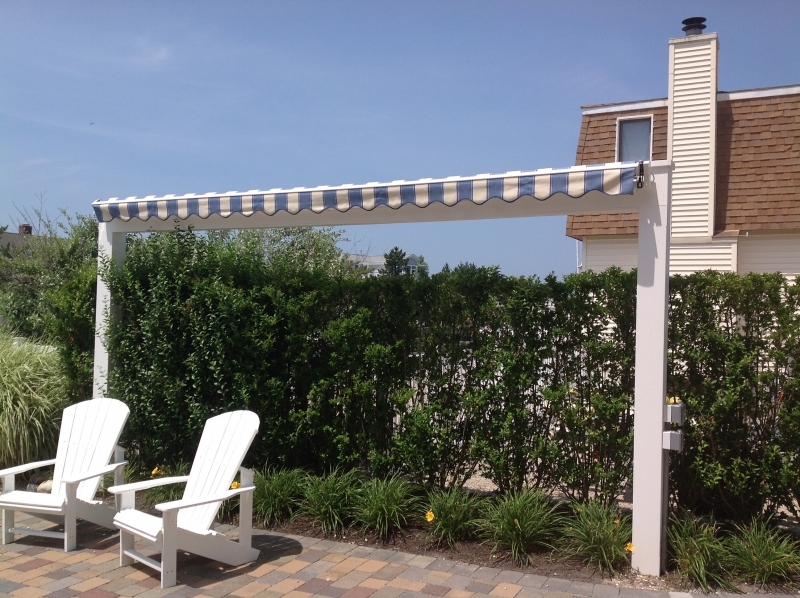 Not only does Giglio Awning offer retractable awnings and other shading products from the industry leader, Sunesta, we also manufacture our own custom awnings. 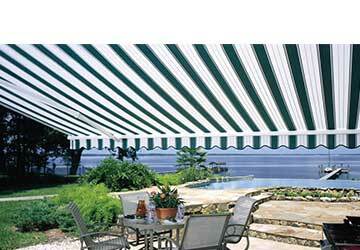 Our canopies are available in nearly unlimited styles, shapes, sizes, and colors. 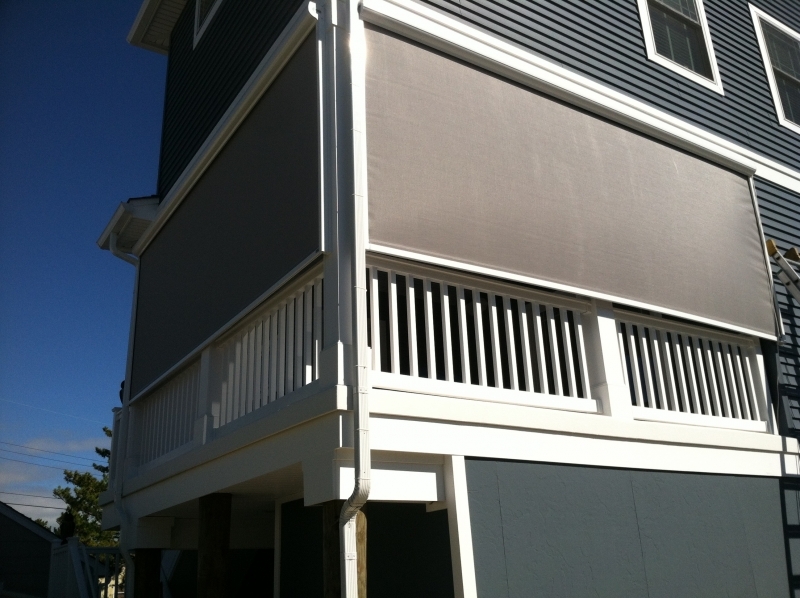 These shading products can also provide protection against rain, wind, and bugs. 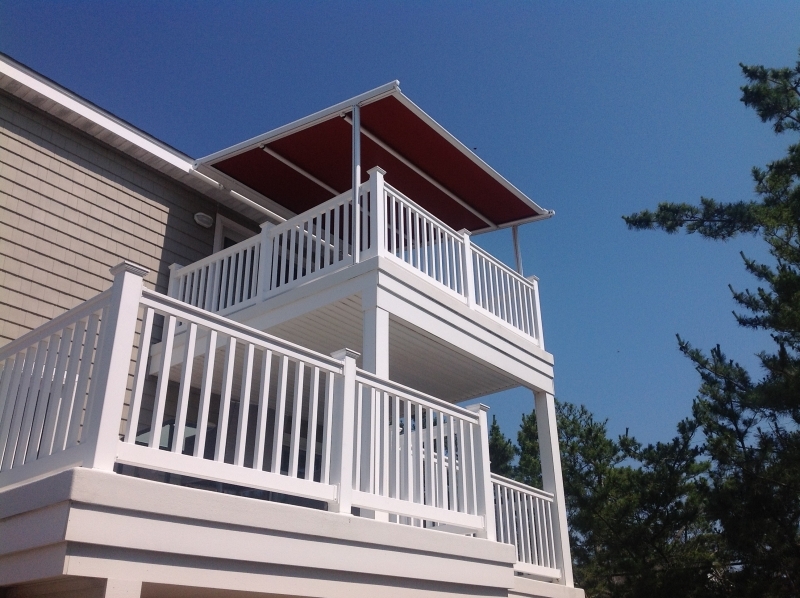 With extensive experience in both residential and commercial awning design, Giglio Awning will be happy to help you craft the perfect shading solution for your home or business. 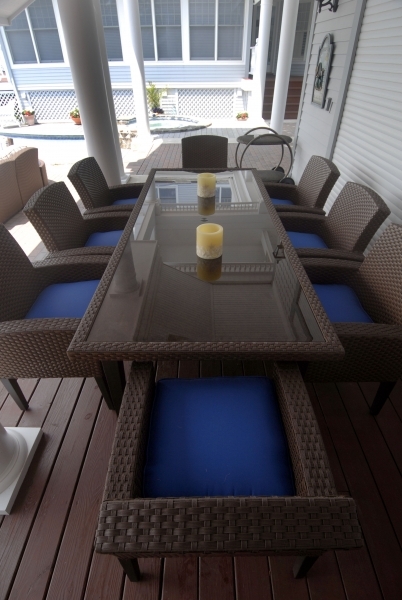 To add the final touches to your newly shaded space, we offer top-quality patio furniture from Lloyd Flanders and Winston. 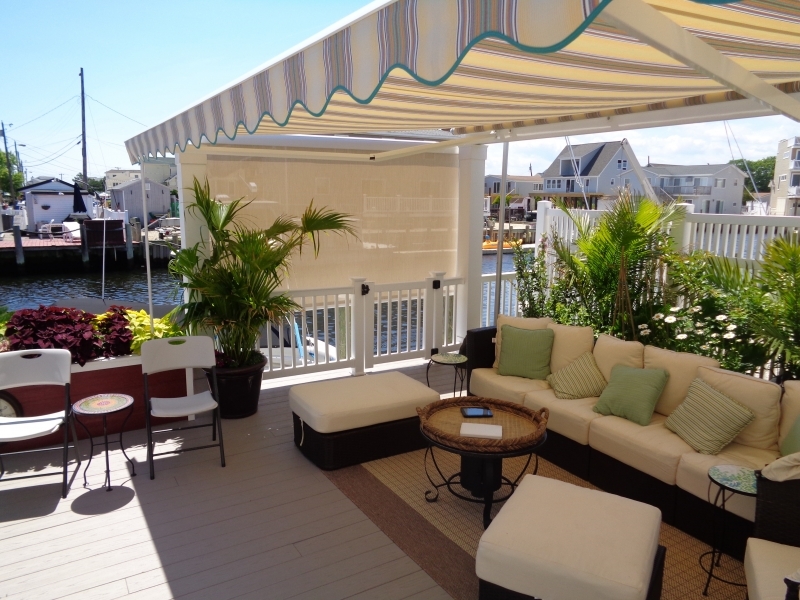 Customer service is paramount at Giglio Awning, and our friendly and courteous staff is happy to supply, deliver, and set up any purchased patio furniture. 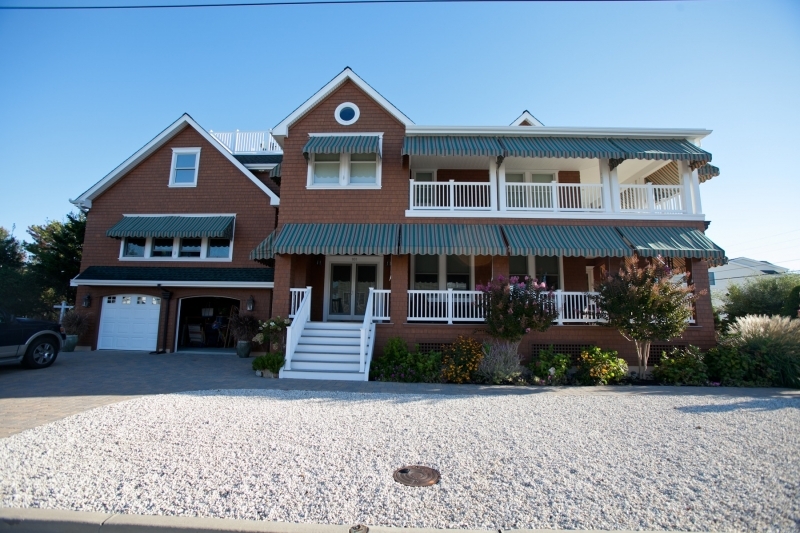 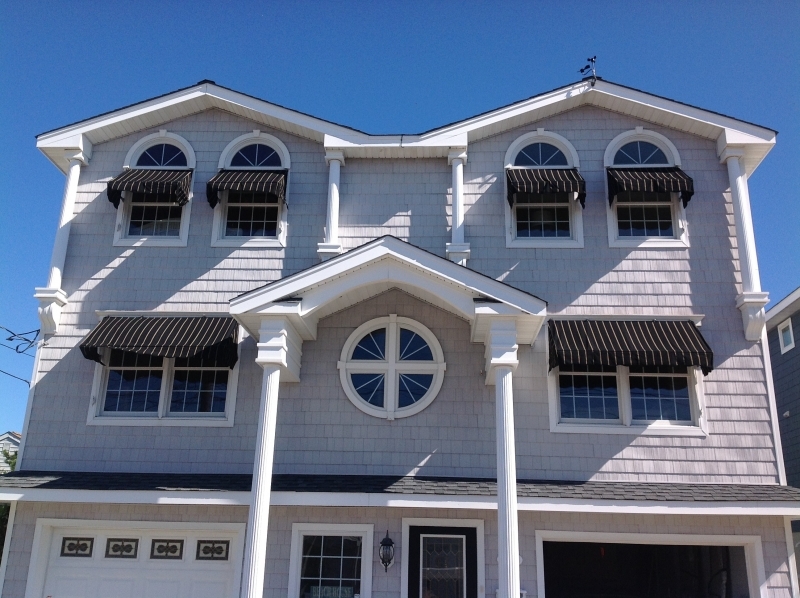 Giglio Awning also offers storm shutters for homeowners in the Long Beach Island, NJ, area who would like to protect their homes against the various forces of Mother Nature. 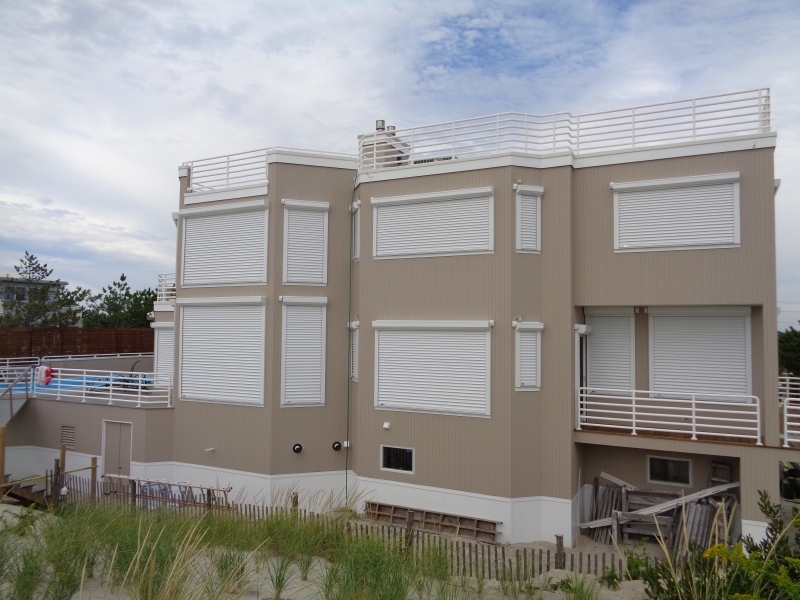 Our hurricane shutters are completely customizable, giving you the choice of various frame styles and custom colors. 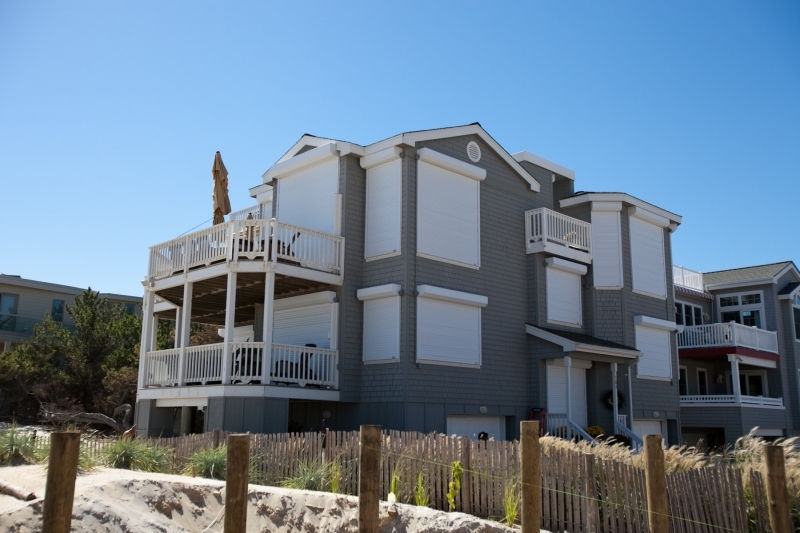 Aside from storm damage protection, storm shutters can provide many other functions, including privacy and home security. 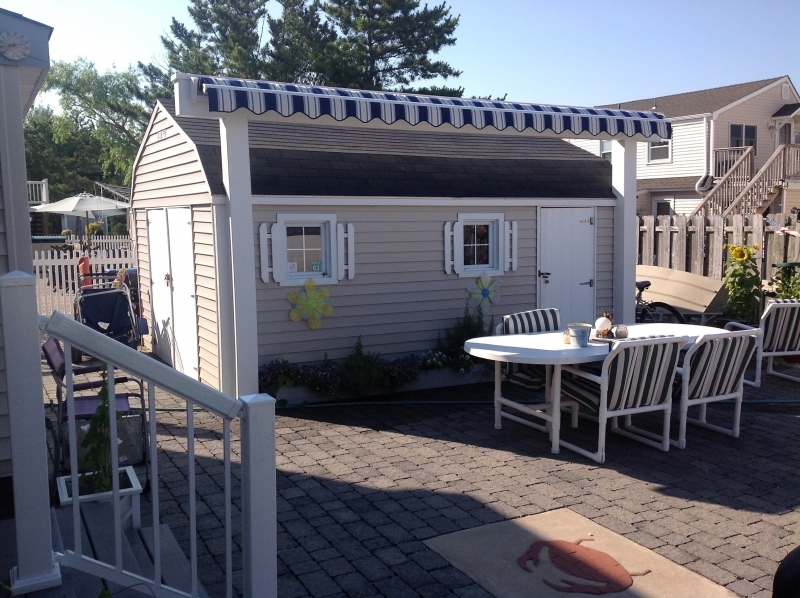 Feel free to stop by our showroom and meet our friendly staff. 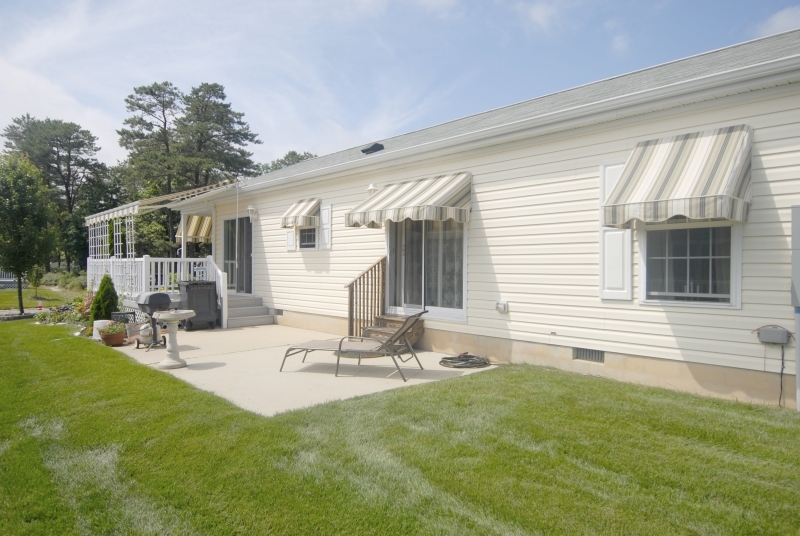 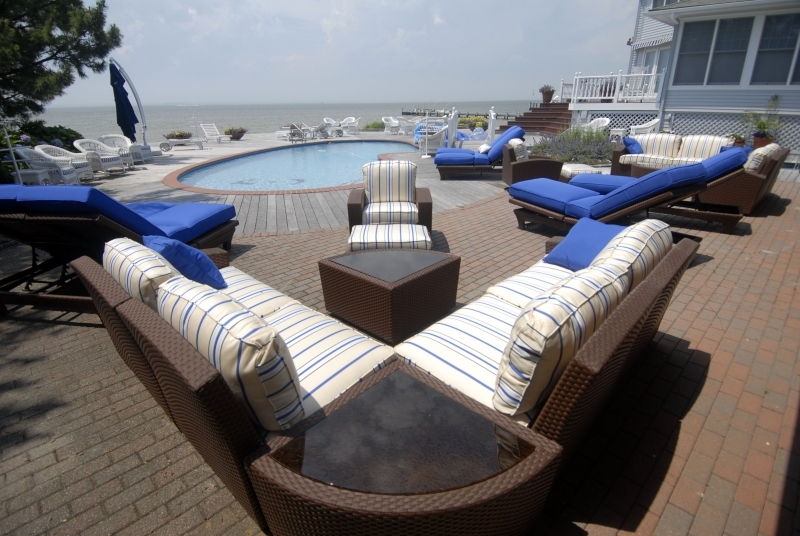 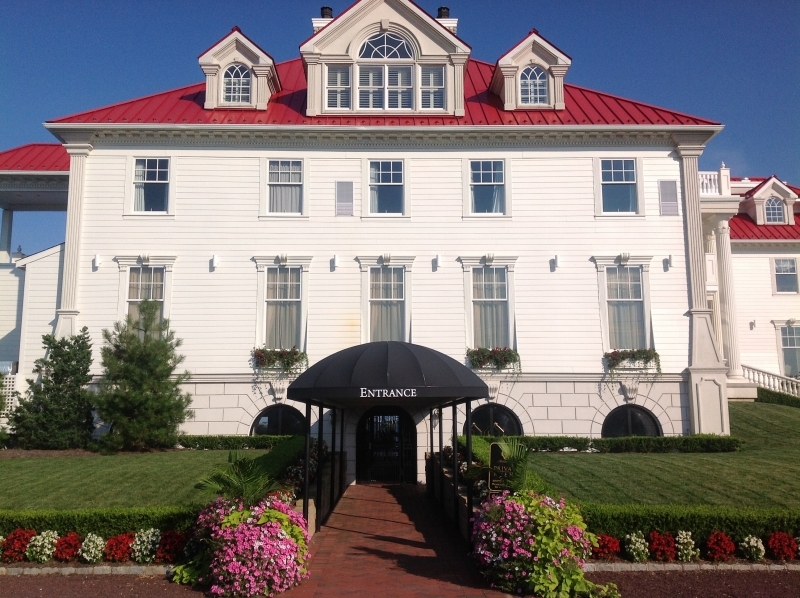 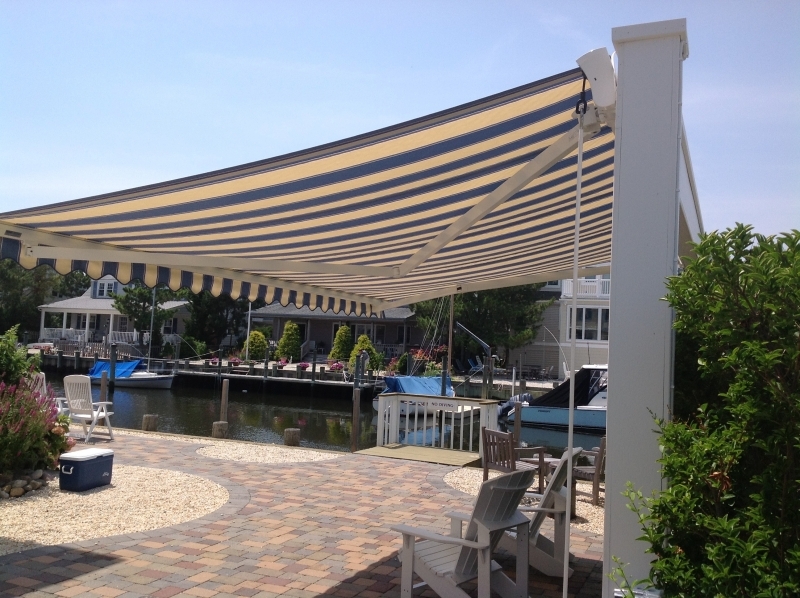 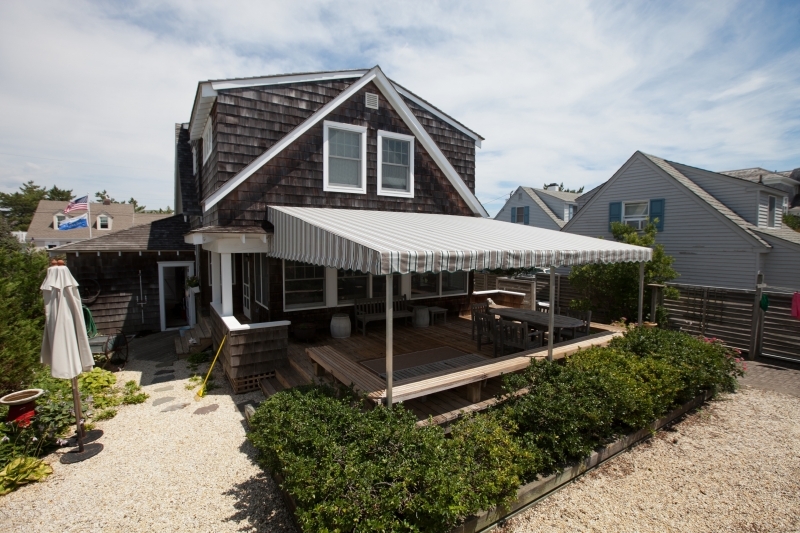 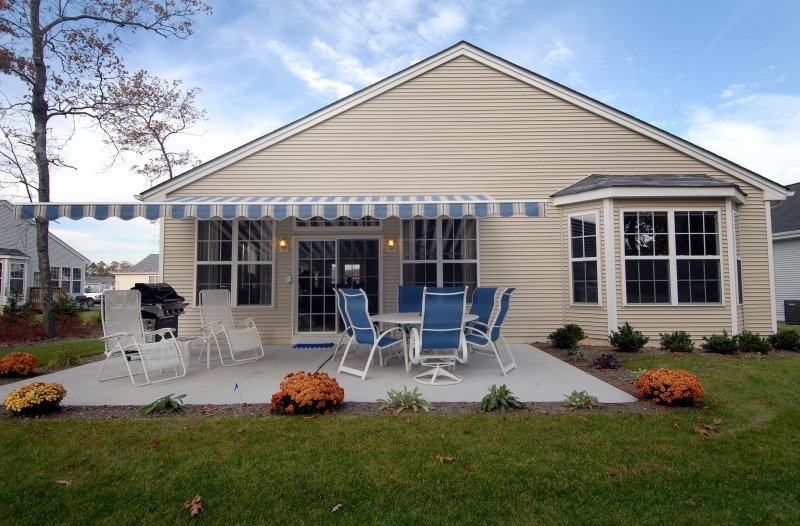 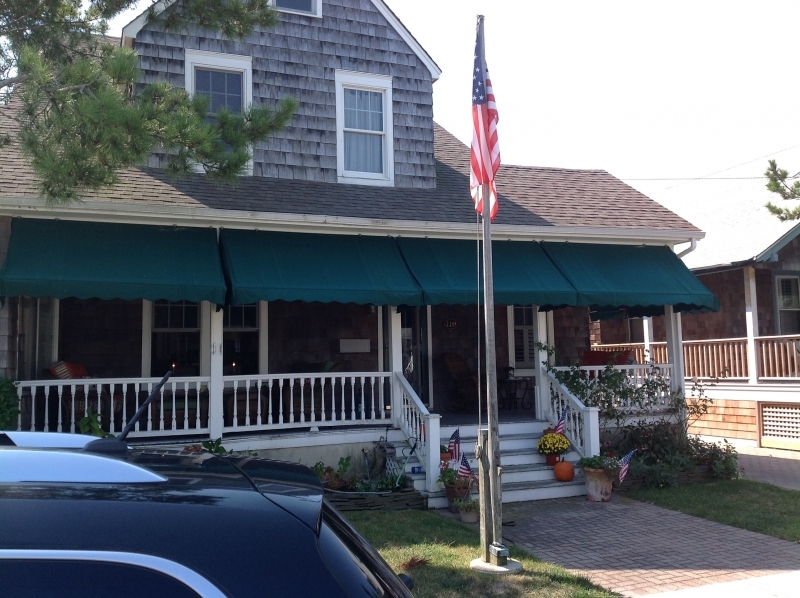 We have the only awning and outdoor living showroom on Long Beach Island, NJ. 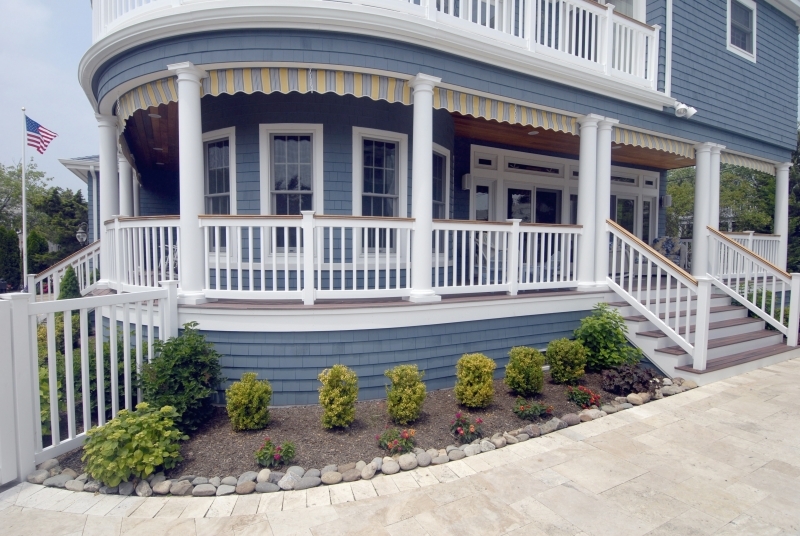 It’s a great place to come and see some of the beautiful products we have to offer. 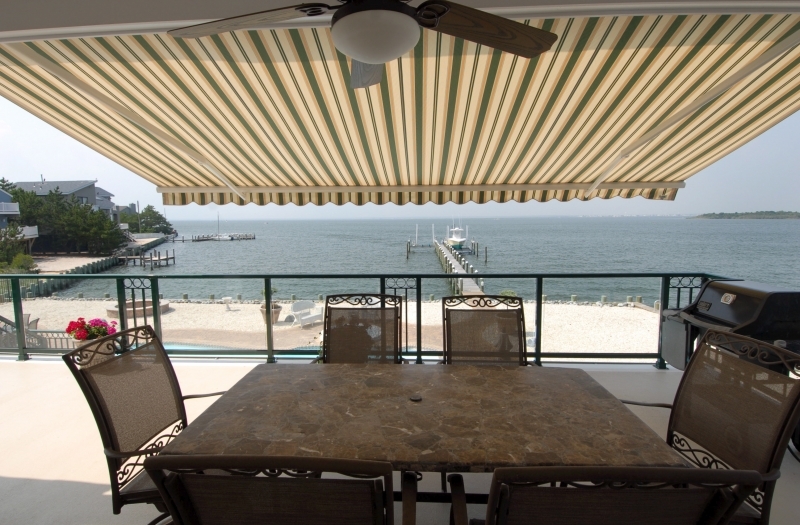 For more information about the retractable awnings, screens, custom awnings, awning repair services, and hurricane protection that Giglio Awning has to offer, please contact us today for a free consultation and estimate.